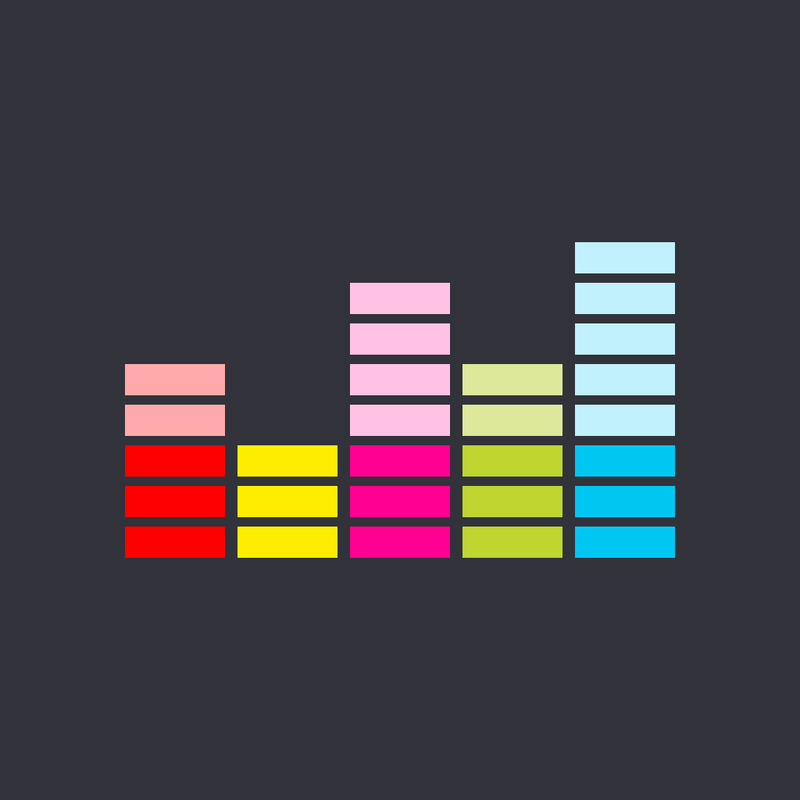 Craaave (Free) by Craaave, Inc. is like Snapchat for music. 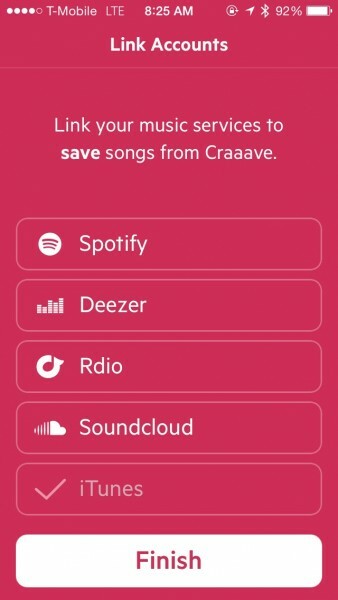 If you love music and want to share them quickly and easily with friends, then Craaave is worth a look. 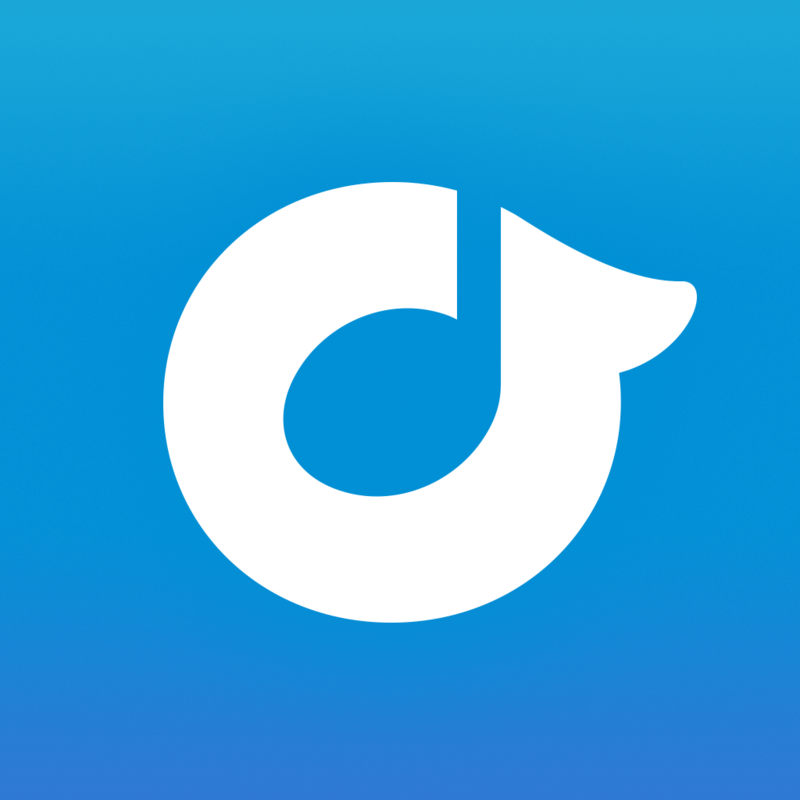 It’s similar to other apps on the market like Whyd and Soundwave.I love music — it’s one thing that can help lift my spirits when I need them, and makes great company when you don’t want to listen to the sound of silence. Music is even better when it’s shared with and among friends, since it helps with discovering something new, or even an old favorite. When I stumbled upon Craaave, I was intrigued, and after playing around with it for a while, it’s a nice addition to anyone’s music app collection. The interface design of Craaave is what I love most about it. 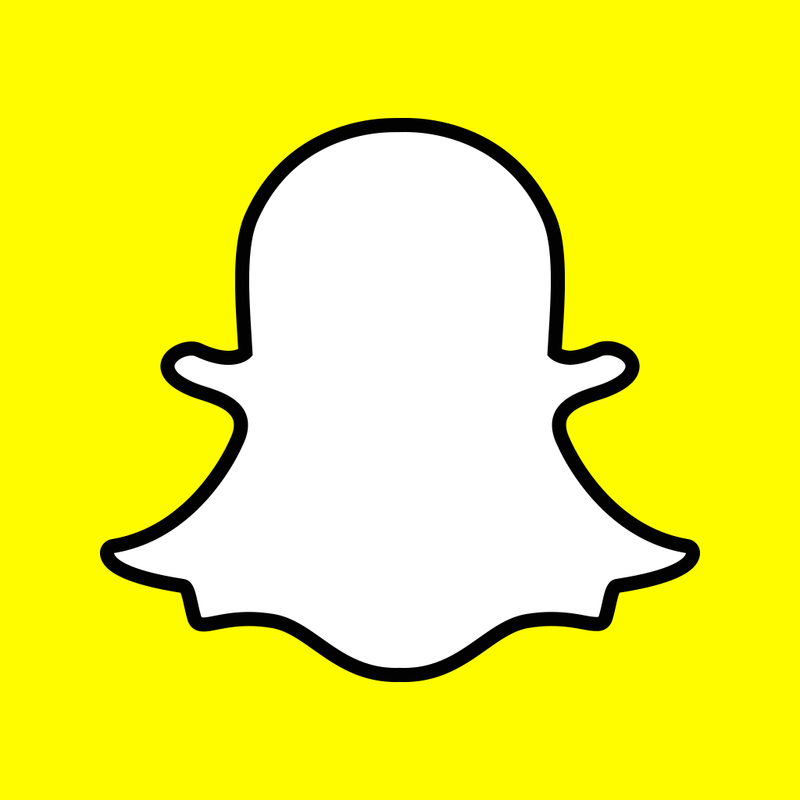 The app is minimally designed so that it just focuses on the content, and it is insanely fast. The pink and white colors complement each other nicely, and the typography is beautifully legible. 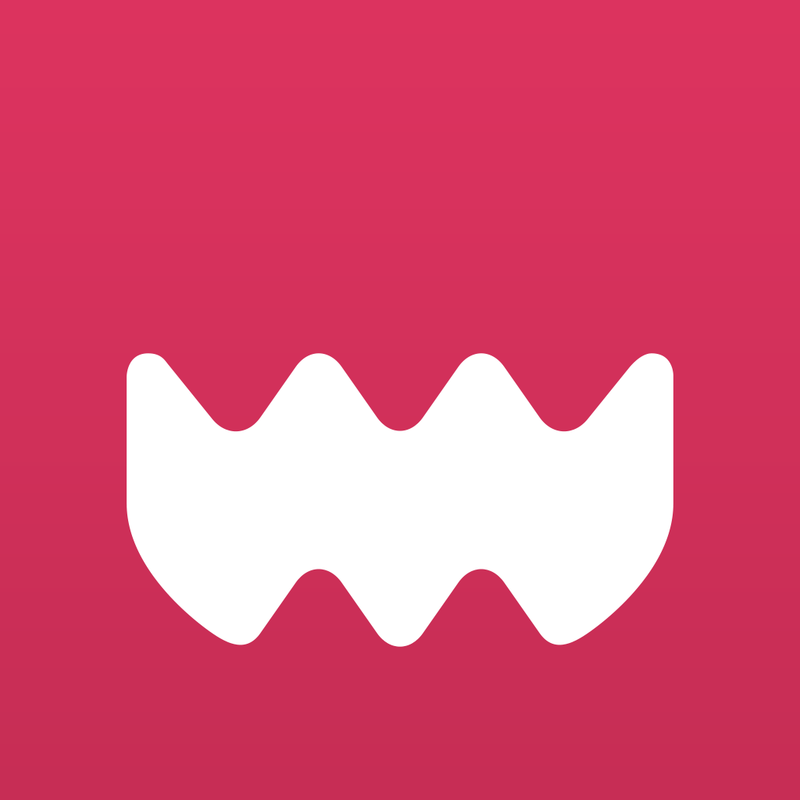 On the first launch, Craaave will walk you through the steps of creating an account and then how to use the app, although I found it to be simple enough. 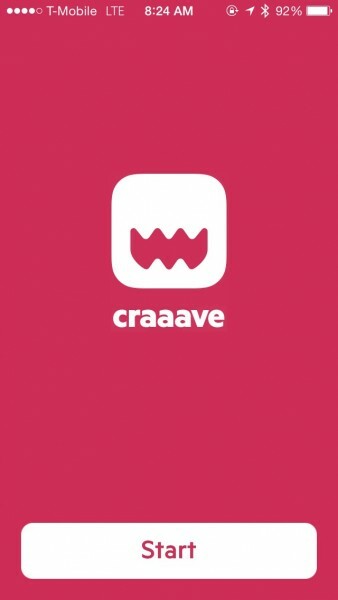 To sign up for Craaave, you will need to input your name and then your phone number so it can send a verification code. The phone number remains private, but it makes it possible for other people who know your number to find you on Craaave. 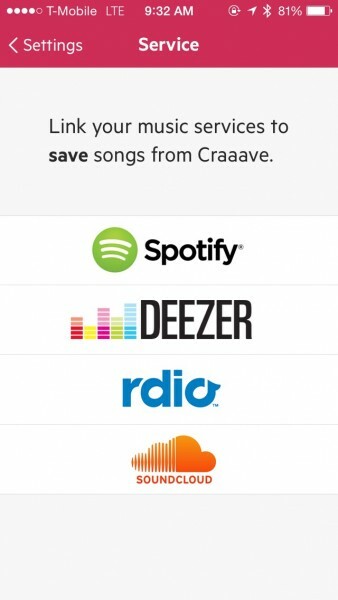 Then you choose the music services (Spotify, Rdio, Deezer, or SoundCloud) that you want to link up to Craaave so you can save the songs you receive. Once that’s done, you will be set up and ready to share songs with friends. 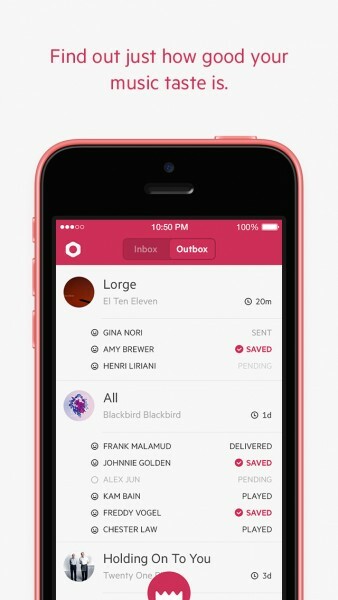 Craaave will be split up into two sections: Inbox and Outbox. The Inbox is where a song that a friend sends you will end up. 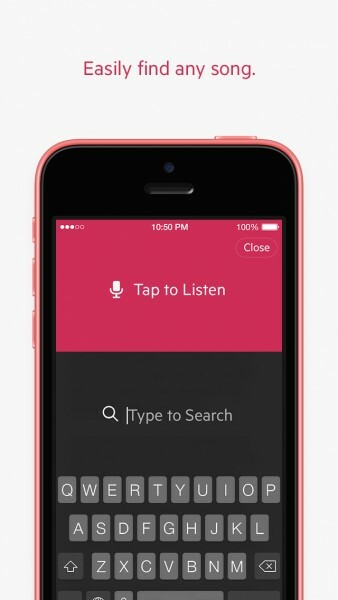 To listen to it, just give it a tap. 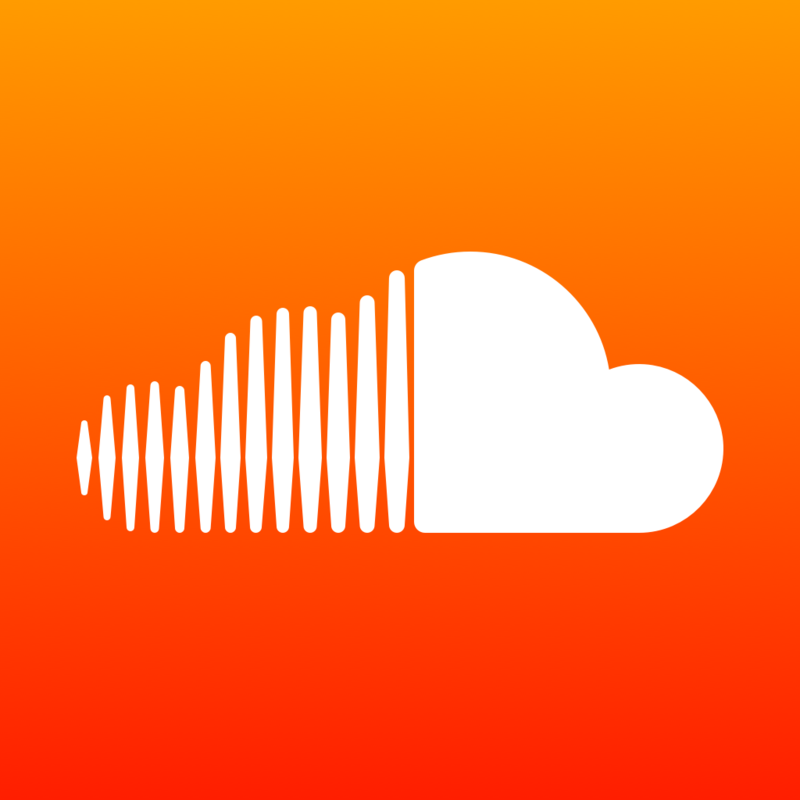 By default, there will be a song waiting for you from the developers, though the availability of it depends on the services you’re using. 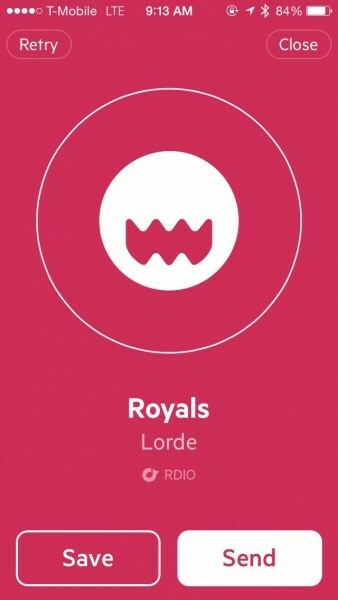 For example, since I only linked my Rdio account, it was unavailable for me. 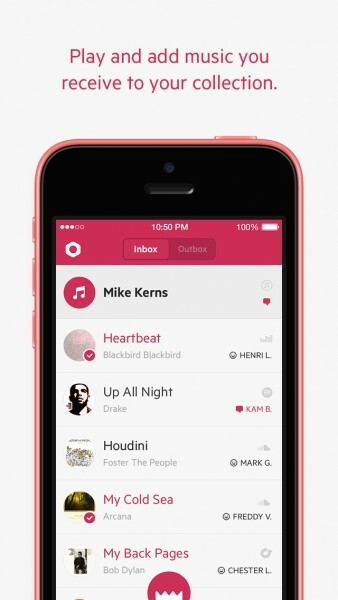 To send a song, just tap on that shiny pink button at the bottom of the screen. 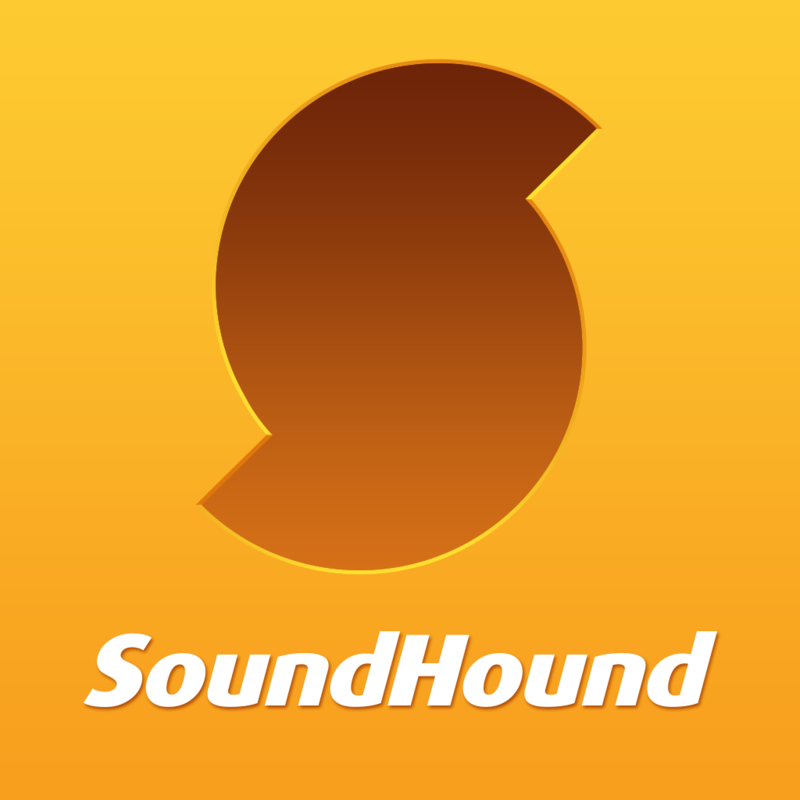 You can then choose between two methods of finding a song to send: Tap to Listen (like Shazam and SoundHound) or Tap to Search. The Tap to Listen feature works as you’d expect, although getting results takes a bit longer than other apps, and I had trouble with it picking up audio from room speakers. It also doesn’t detect remixes well, as it gave me completely different results than what I was listening to. I found this to be odd, as I was listening to a remix album on Rdio, and yet, Craaave did not pick it up despite hooking up my Rdio account with the app. 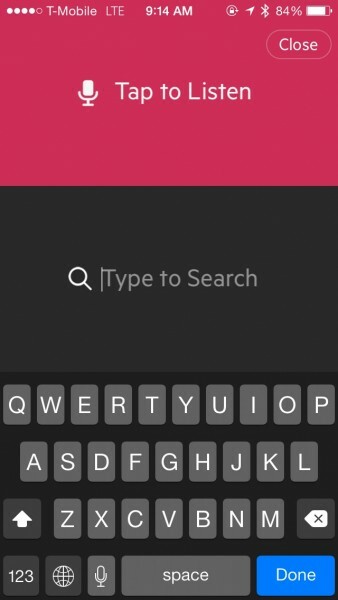 The Tap to Search feature works much better, in my opinion. Just start typing in what you’re looking for, and the results will appear in real time as you type. In the results, you will see song name, artist, and an icon representing the source of that product. 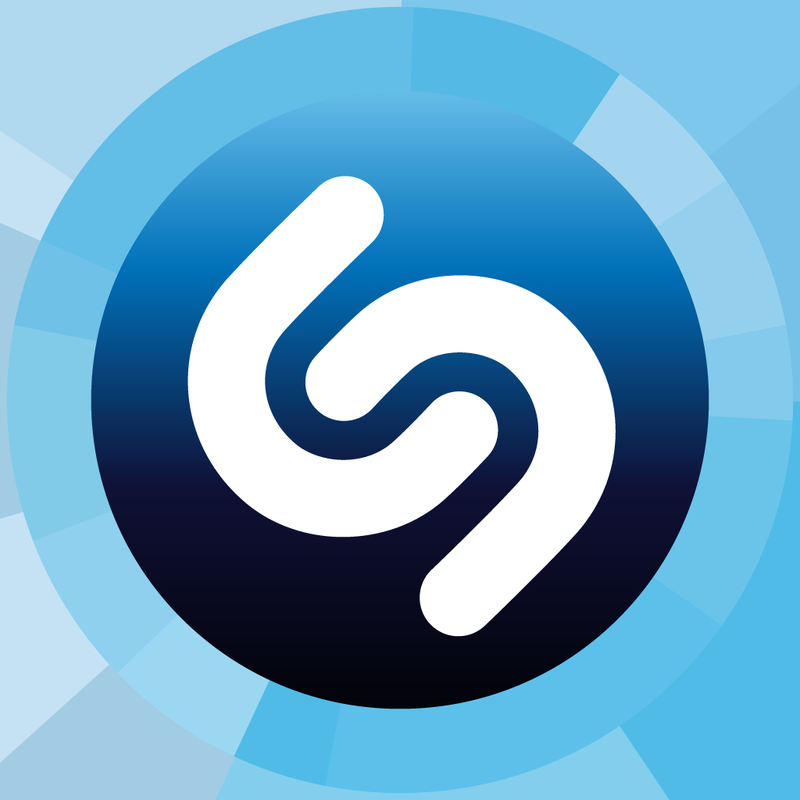 Tapping on the song will start playing it, though the audio does not play in the background. If you tap on the source icon, it takes you to the next step, which is sending it. To send it, just grant the app access to your contacts and you can select multiple recipients. 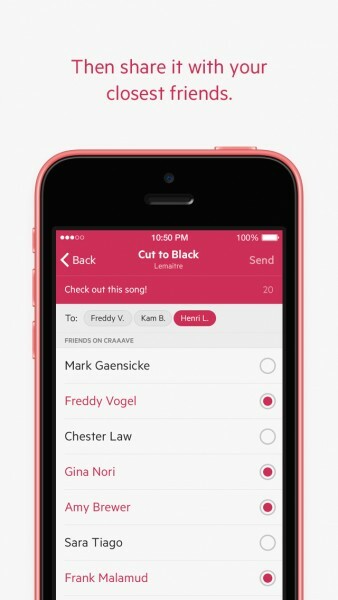 Each song can optionally have a message of up to 40 characters attached, in case you have something quick to say about it. 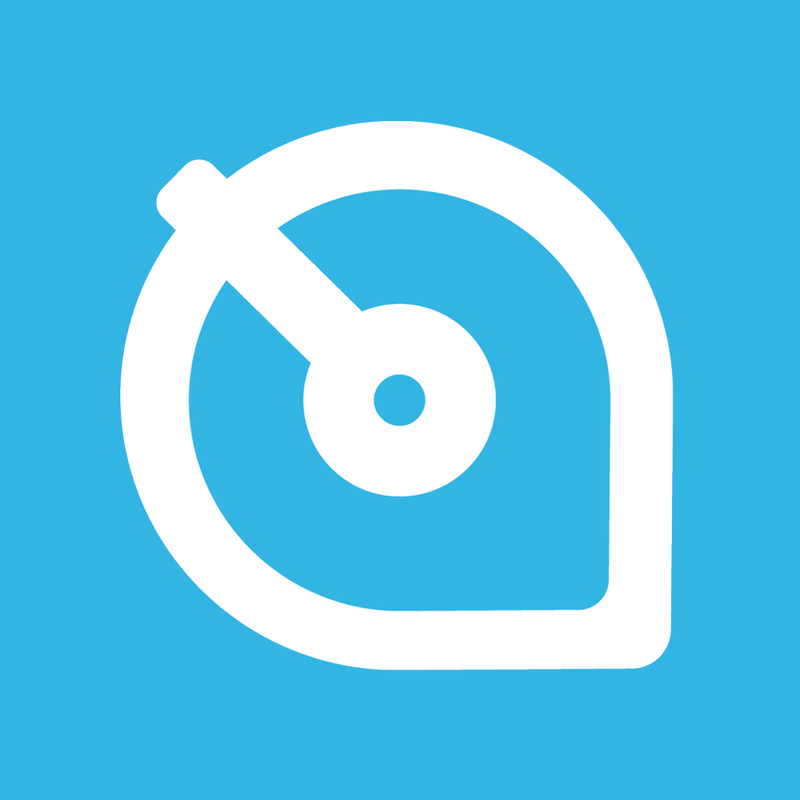 If the recipient doesn’t already have Craaave, the app brings up an editable Messages prompt that you can send, inviting the other person to use the app. Any songs you’ve sent to others will appear in your Outbox tab, where you can also see the status, and clear them out at once if you so choose. The settings in Craaave can be accessed by tapping on the button in the top left corner. 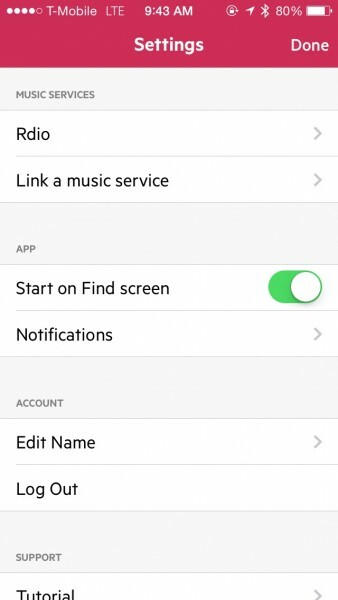 Here, you can link up more music services if needed, toggle starting on the Find screen by default, enabling notifications, and change your account settings. 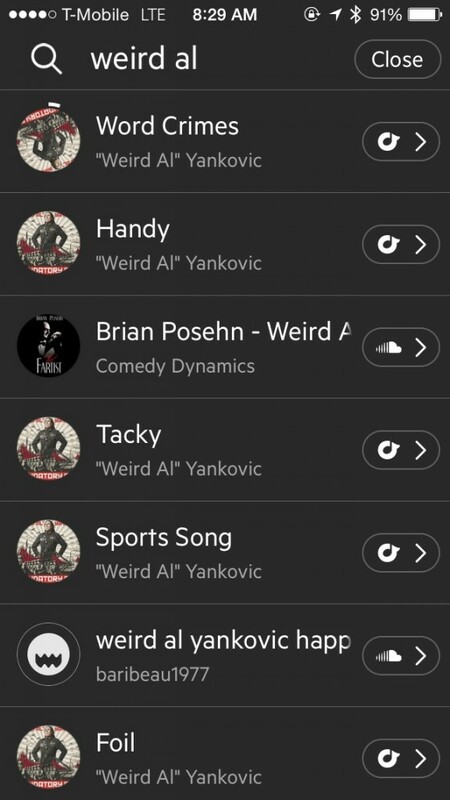 As a person who enjoys sharing music with others, I’m liking Craaave so far. 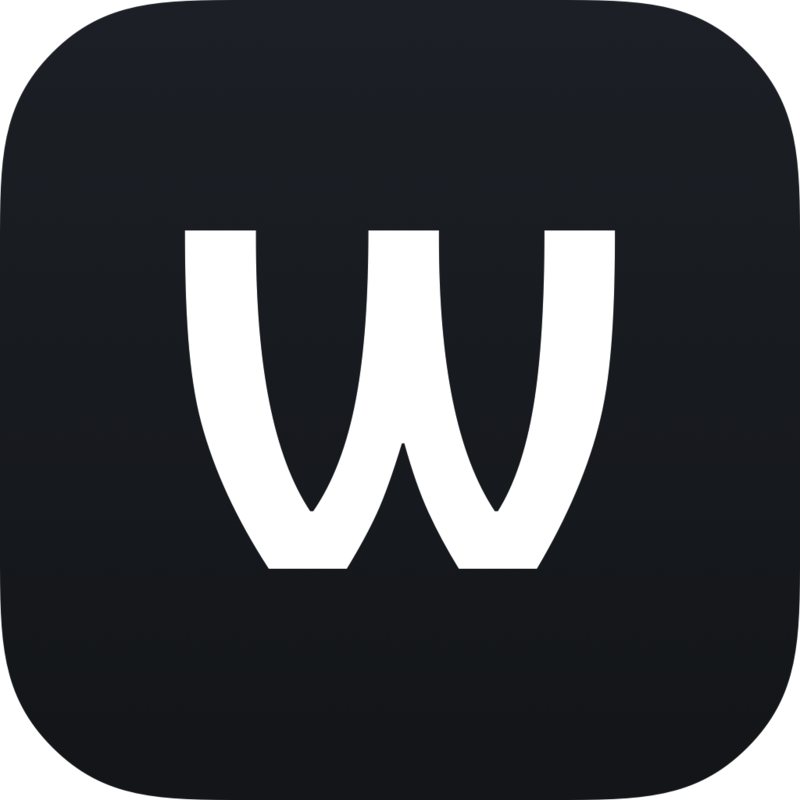 The design is gorgeous, and the app is fast and easy to use. I would like to see improvements made to the listening engine, though, as it didn’t work out that well during my use. 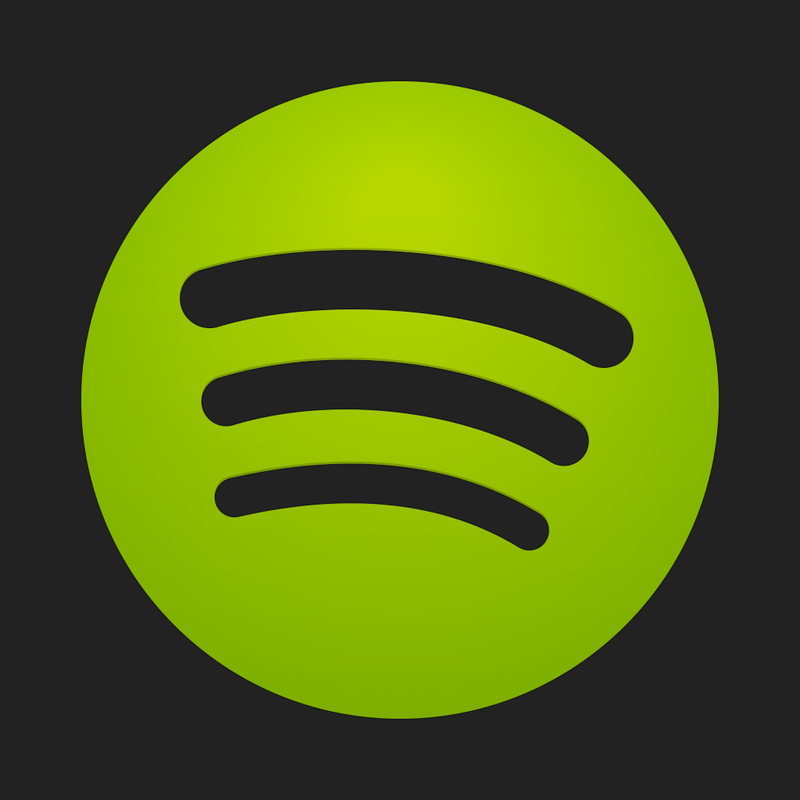 It should also have a bigger database of songs and include more streaming services. 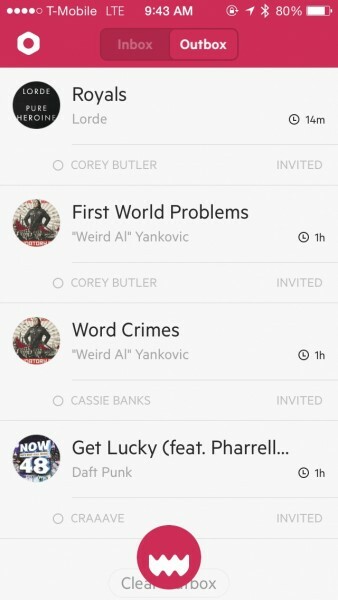 Regardless of these flaws, Craaave is still worth checking out if you want to share music with friends. It doesn’t hurt to give it a try, especially since it’s available on the iPhone App Store for free.